The world has been gripped today (Thursday 6th October) by the sad news that Steve Jobs, co-founder and former chief executive of Apple Inc, has died at 56, following a lengthy battle with cancer. An inspirational and courageous leader, Steve Jobs introduced some of the most innovative technology, making his mark on the world, before his life was tragically cut too short. After reading many of the tributes dedicated to the man viewed by many as a legend, what struck me personally was his fierce drive, his passion for doing something he loved, and his confidence in making things happen. Rejecting market research, he seemed instinctively tuned in to what people would want; and that's people of all ages, from all corners of the globe. I personally have pondered so many times just how Apple became such a cool, covetable brand, with a seemingly never-ending trajectory of success. 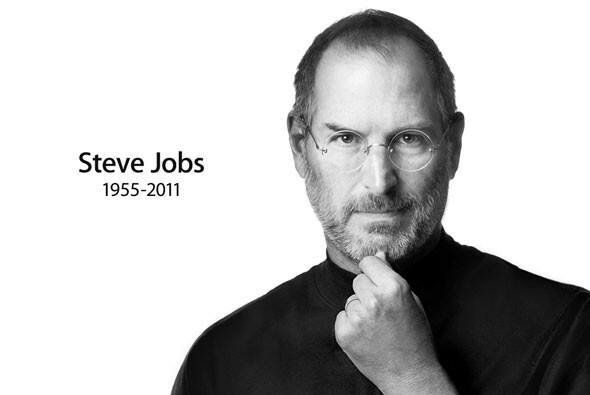 Here's hoping the groundbreaking company will continue in this path and keep Steve Jobs' legacy alive. As a writer and blogger, there's no doubt that discovering the world of Apple transformed my working life, and I'm sure that can be said for people from many different fields. Not to mention the vast majority of us, who are lucky enough to own at least one of their iconic products: iPods, iPhones, Macs, Macbooks, iPads... Steve Jobs' other most famous success came in the form of Pixar, which was the name he gave to the computer graphics division on acquiring it from Lucasfilm Ltd in 1998. Investing much of his own money into the company, it was in 1995 that his innovative vision was rewarded in a Disney distribution deal, resulting in Toy Story. "Your work is going to fill a large part of your life, and the only way to be truly satisfied is to do what you believe is great work. And the only way to do great work is to love what you do. If you haven't found it yet, keep looking. Don't settle. As with all matters of the heart, you'll know when you find it. And, like any great relationship, it just gets better and better as the years roll on. So keep looking until you find it. Don't settle." - Stanford Commencement Speech, June 2005. "Stay Hungry. Stay Foolish." - Stanford Commencement Speech, June 2005. "Being the richest man in the cemetery doesn't matter to me... Going to bed at night saying we've done something wonderful... that's what matters to me." - The Wall Street Journal, May 1993. "I think if you do something and it turns out pretty good, then you should go do something else wonderful, not dwell on it for too long. Just figure out what's next." - NBC Nightly News, May 2006.